Welcome all to my new blog, "Matt's Photos". I am looking at this blog as a sister blog to the BWC Keepers Blog, and as a place to share some more of my photos. For more about this blog click the link above. There are also links above to find out more about me, the camera gear I use and links to the BWC blog and my photo sharing sites etc. For this first post I thought I would just show you ten photos from over the years. These will give you and idea of what to expect on this sister blog. Hope you enjoy. 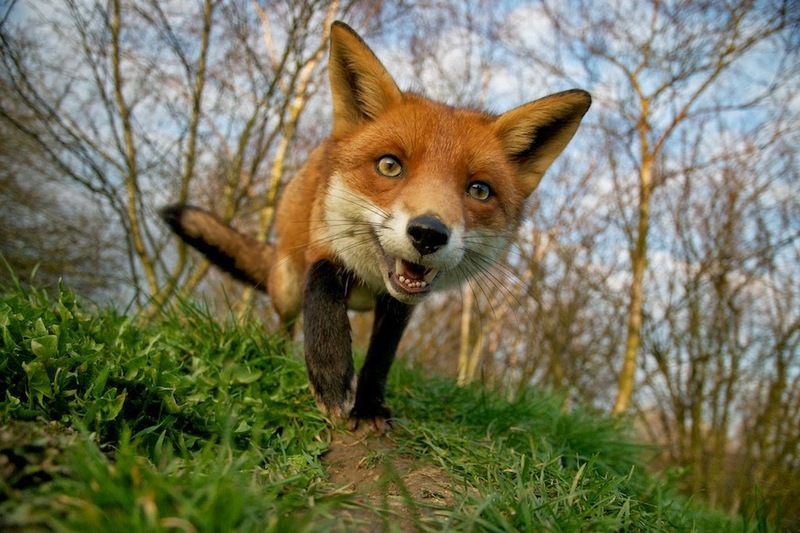 Above is a photo of Flo our friendly fox, taken with a wide angle lens which gives it an almost comical feel. This was the first photo I took which I was REALLY pleased with. It took a while to grow on me, but is now one of my favourites. It is a lovely portrait, but a little different. Not taken with a remote trigger as many think, I was actually behind it at the time. 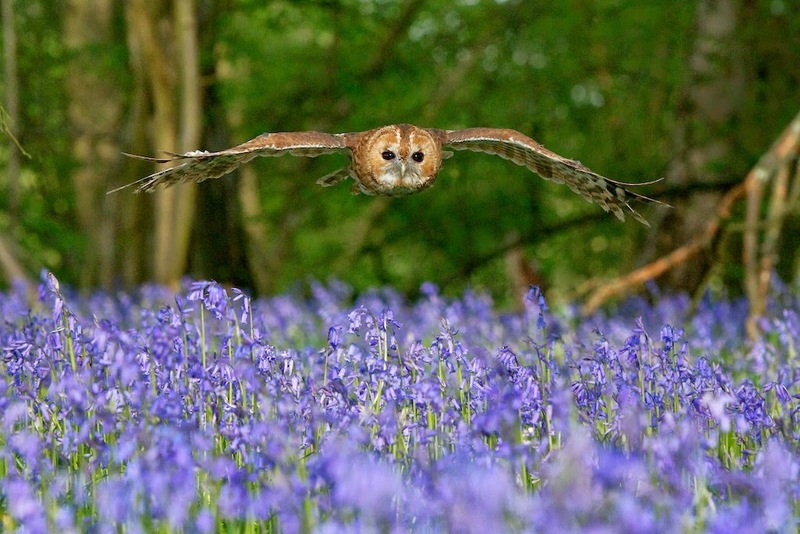 Above is Florence flying over the bluebells. I have been lucky enough to have many photographs in the papers over the years, but this is possibly the most famous. 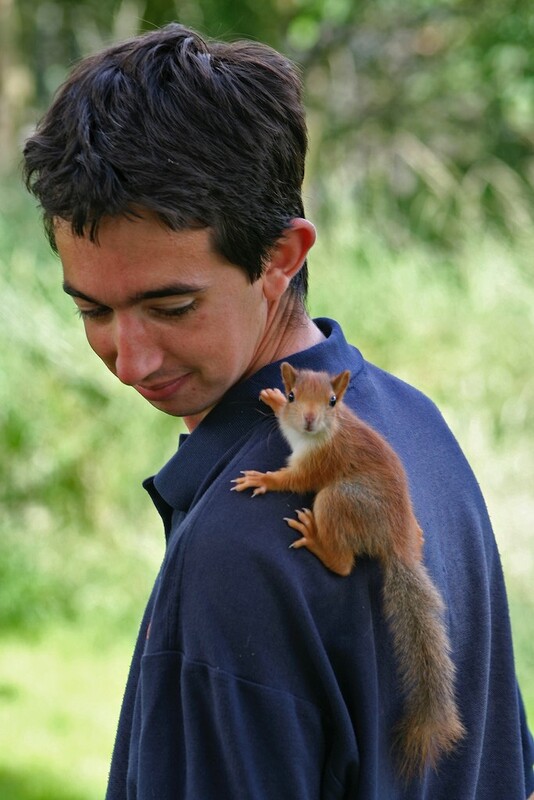 Working at the BWC I am lucky to see many unusual or very rare sights. Above is not a great photo, but it is something I like showing people. 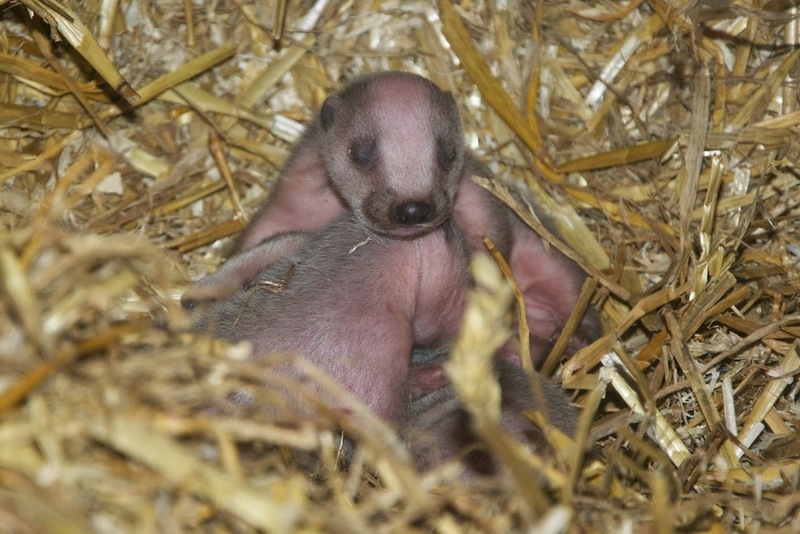 It is of two, one day old badger cubs. Even from day one you can see that they have the classic black and white striped face! I have a very hard working and dedicated team of keepers, that work hard to maintain the high standards of welfare and presentation we have at the Centre. 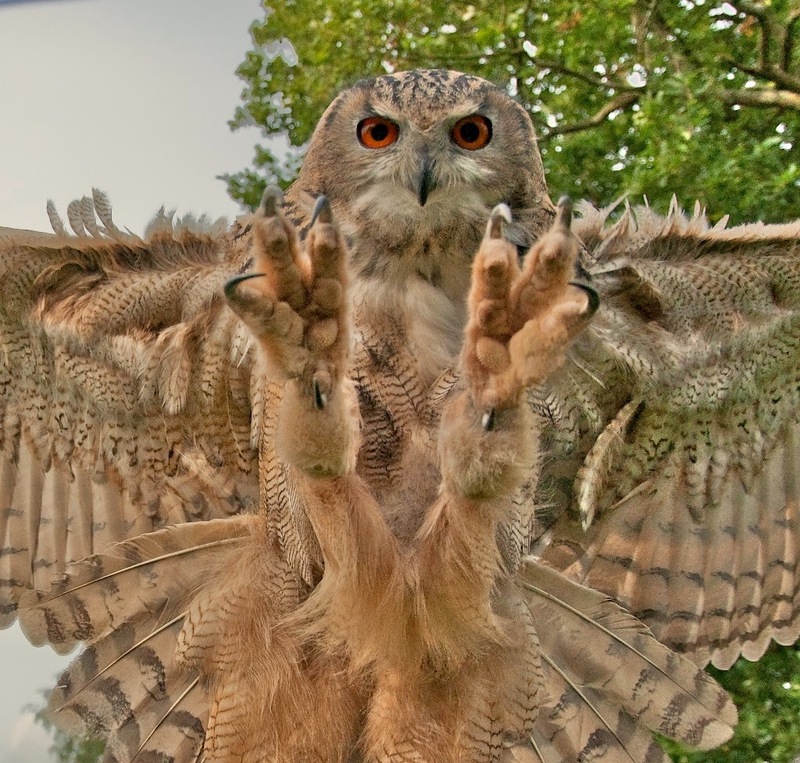 It is like photographing them in action, and if possible unaware, to get more natural poses. It is good for the records and as souvenirs. 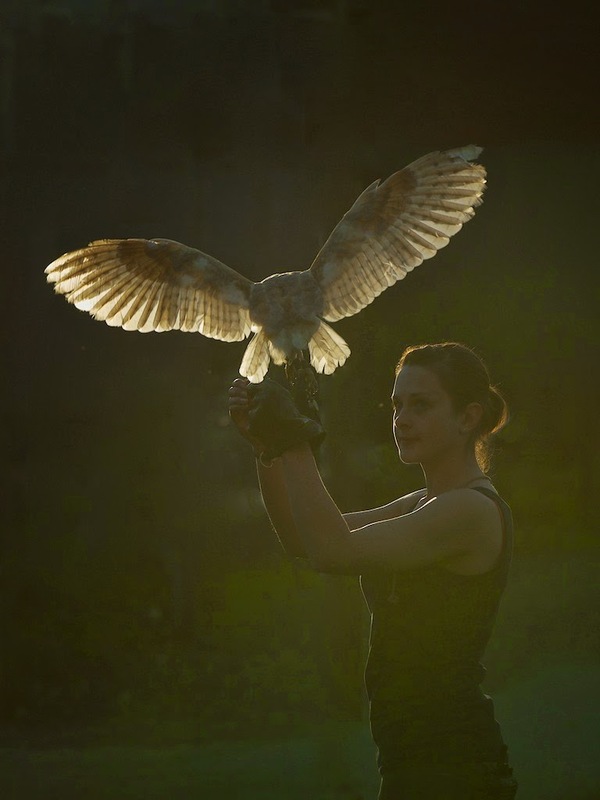 It is a shame the barn owl was moulting above and so had half a tail, but you can only work with what you have got. 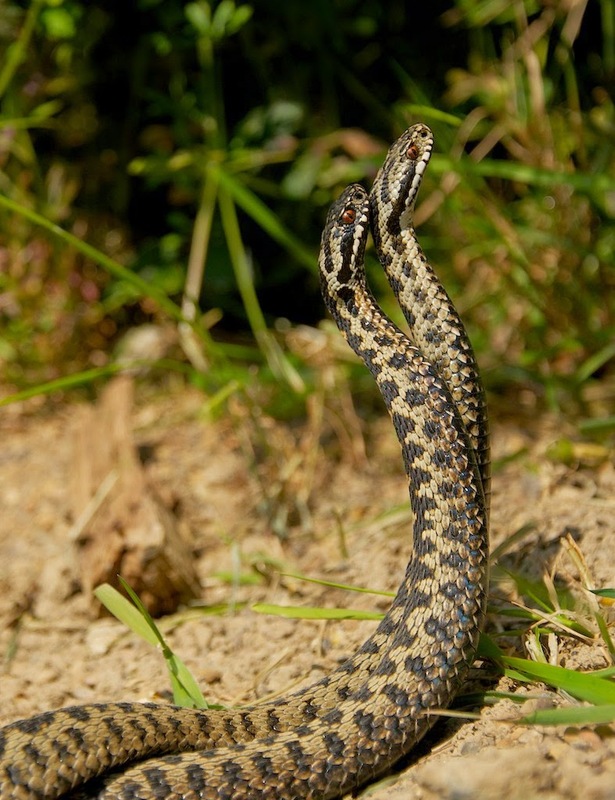 Different behaviours are always fascinating to me, and arguably my most anticipated every year is the "Dance of the Adders". This is one I took in the first year I had a camera, and still possibly my favourite. Taken from outside the enclosure, and so shows the great opportunities you can get here even with out the exclusive access of our photo days. My favourite fox, Pickles, sadly non longer with us. Sniffing the daffodils. This is the first photograph I took that got noticed and encouraged people who have never been to the Centre to follow my photography. I love using the light, and backlight in particular. I also love colour, and the above shows both nicely. 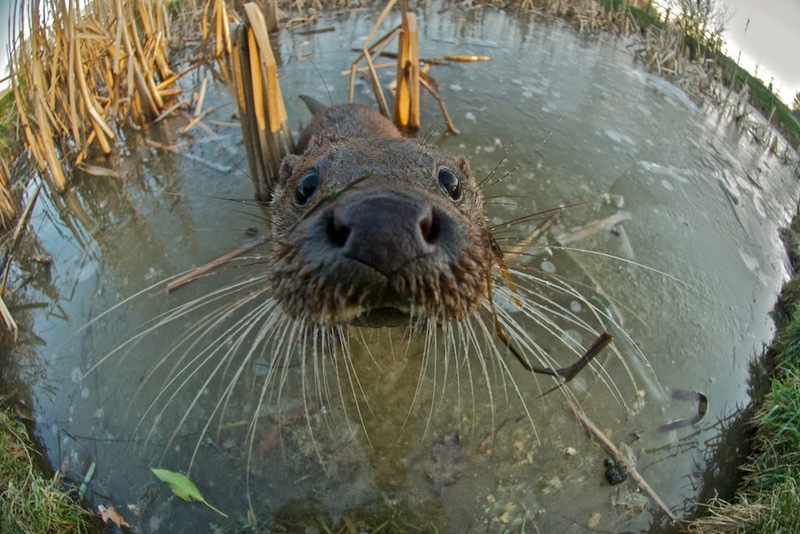 I was once told that a fisheye lens is good, but you can't use it for wildlife. After this I was determined to prove them wrong. I love my fisheye lens. It takes great quirky portraits, but can also be used well in other ways. 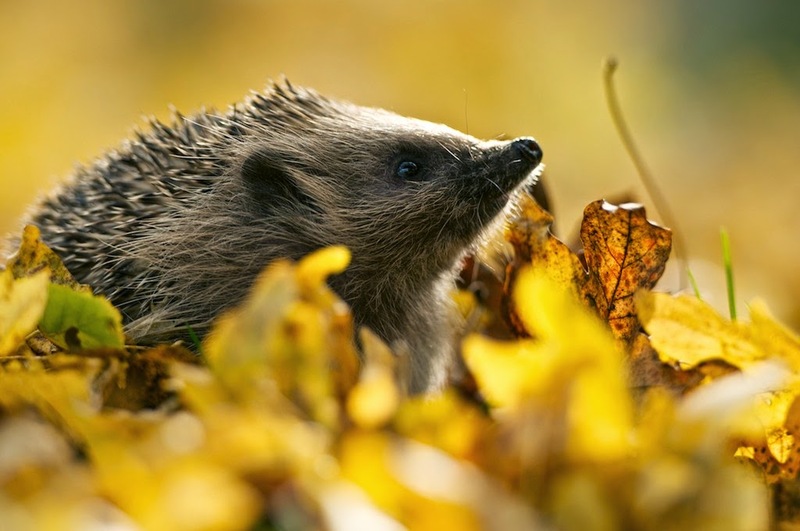 The above is my most highly awarded photo, being Highly Commended in 2012's British Wildlife Photographer of the Year. It was amazing to see it in the gallery alongside other great amateur, and many amazing professional photographers work. One of my first, and still one of my favourite, of all photos. 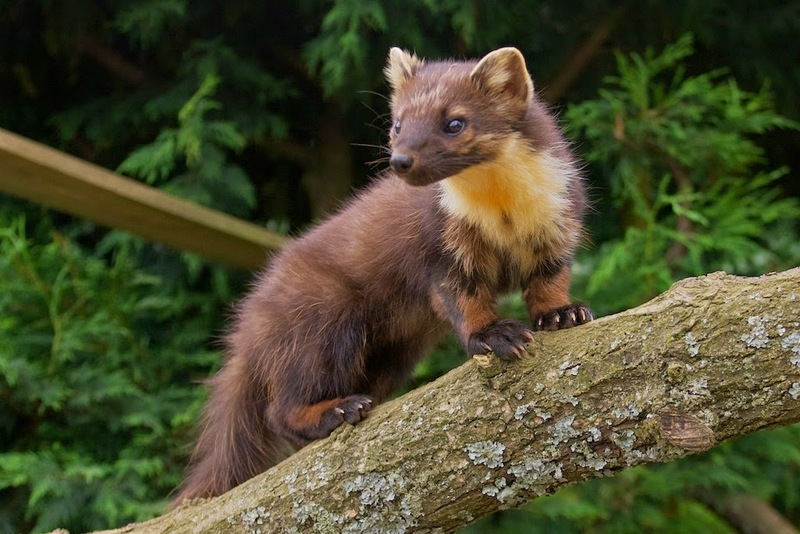 Showing Bonnie, the pine marten, off to her beautiful best. It is not the best technically, but still I love it and that is all that matters. The editing I do is minimal, and tends to only be slight tweaks in levels and cropping. Apart from the obvious photoshopped images for fun, I could probably count on one hand the number of images I have actually "manipulated". The above is one of the ones I did manipulate, it is also a little soft and not of high quality. But it is unusual, different, and so one of my favourites. An excellent start to your latest venture, I look forward to seeing more. Thanks Terry. Not seen you here for a while, hope you are well. Maybe see you later in the year. Love the photos, you have a great talent for spotting what makes a fantastic picture. Looking forward to more photos from you! Thanks for your kind comments. If this blog is a fraction as successful as the BWC Blog, the I will consider it worth while doing. Long over due Matt. A great idea to showcase your images, I'll be waiting eagerly for the next installment. Hi Del. Thank you. Not seen you here for a while either, you must pop down and see us all. Been updating my talk for this year, looking forward to visiting your camera club again in August. Thank you Graham, I have many more photos from around the Centre to share. Some old, and some form new projects we are working on. 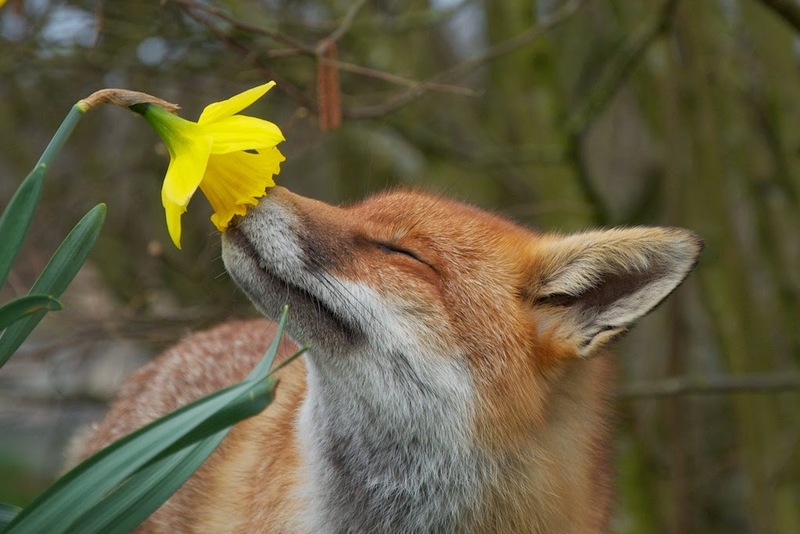 Fox smelling flower is not photoshopped, it is? My friend and I love it. Just want to find out. No, not photoshopped. I wouldn't even know where to begin to try and create that photo in photoshop. Hi Matt, I am an artist and I was wondering if I could paint the photo of Pickles. My studio name is Vixen Studios and that photo really speaks to me. :) Thank you for considering it. Either way your photography is gorgeous and I have really enjoyed looking through them all.